Superbly situated chalet in the heart of the Glencoe valley and next door to the famous Clachaig Inn, serving great food, a huge selection of Scotch whiskeys and real ale. (Featured in The Week - Britains cosiest pubs!). Excellent access to skiing, climbing, sailing, angling and many other activities and only a short walk to Signal Rock and the Glencoe information centre. 'great wee place next to the best pub in Scotland'. Linen and towels are included free. Dogs are charged at £15 each per week. You cannot beat the location. We had a fantastic time here, hiking, listening to live music in the pub next door, driving to Oban and Fort William and Glenfinnan. We would definitely recommend staying here. We will most certainly be back. There is everything you could possibly need in the kitchen. Beds are super comfy after a long hike. Plenty of Central heating to keep us nice and warm. 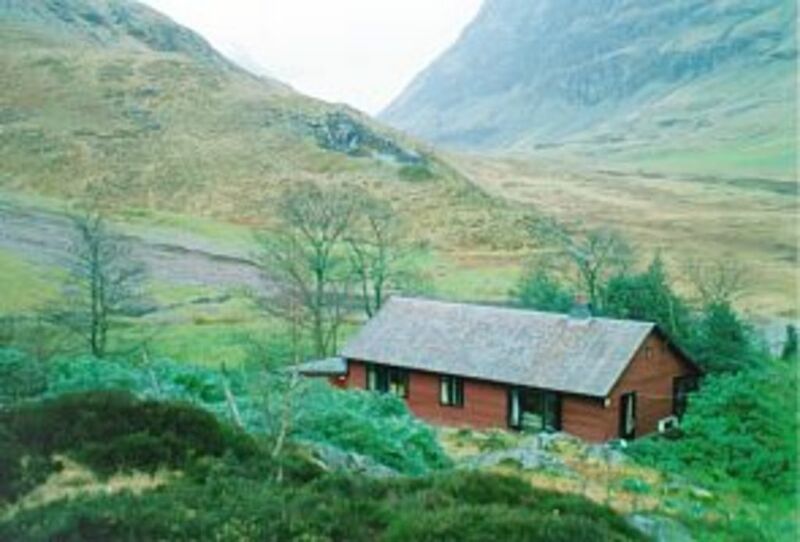 Lovely welcoming chalet in the perfect location for exploring the western highlands. We really enjoyed our break here, would highly recommend. Will book again for our next trip to Scotland! We (7 adults from Germany and Scotland) spent a lovely Easter weekend in Glencoe. The cottage/chalet was well equipped, clean&tidy and had a living/dining room that easily accomodates 7 people. It is a great starting point for various hill walks (high and low level walks) in Glencoe and the nearby Glen Etive. We have been outdoors walking every single day of our time there. The Claichaig Inn was right at our door step - the atmosphere, beer selection and food were superb. And on occasion one can enjoy life music there. Shopping (food etc) facilities were nearby - either a local shop in Glen Coe village or further down the road a Co-op in Kinlochleven. Fantastic holiday location. The cottage is extremely well kept, clean and tidy. The location is phenomenal in the heart of Glencoe with stunning views right on the doorstep. As a family of 7 seven, there is ample room and facilities for all. Ideal location for walking, sightseeing base or just a chill out holiday. The housekeeper is friendly and very helpful. Myself and my family will definitely be back next year. Would recommend it to everyone. The West Highlands offer a wealth of scenery, history and adventure. Every year new attractions arrive making this the ideal destination for those seeking thrills, families with children and anyone looking for the peace and quiet of the hills.